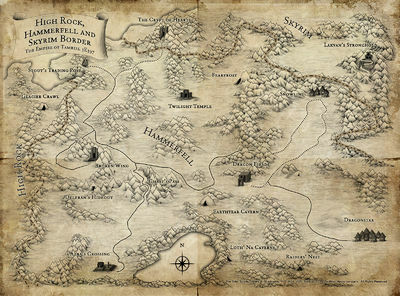 The most recent and authoritative map of Tamriel, from The Elder Scrolls Anthology. A compilation of the province maps in The Elder Scrolls IV: Oblivion's update to the Official Codex. 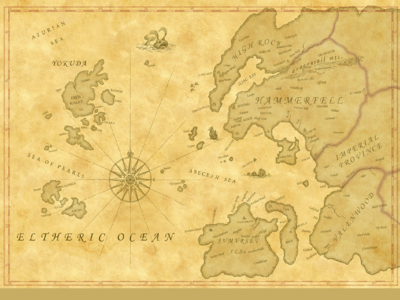 Map of Tamriel in the Second Era, showing the three alliances and Imperial territory, as seen in The Elder Scrolls Online. 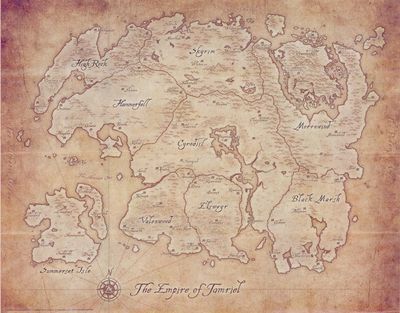 The complete map of Tamriel as seen in the first Elder Scrolls game, Arena. Arena is the only game that has been set in all of Tamriel. 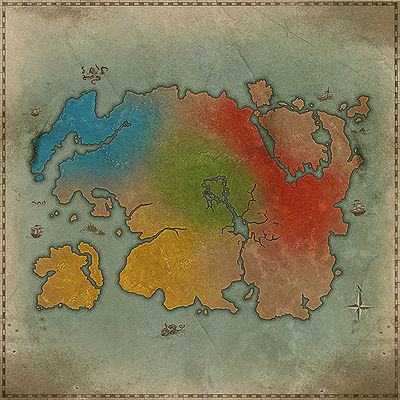 This map has been assembled from the individual province maps; for a better representation of the shape of the continent, see the in-game map of Tamriel. 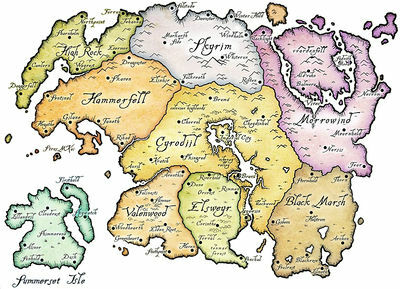 A map of West Tamriel, attributed to one of Bethesda's developers (Hugh Riley). 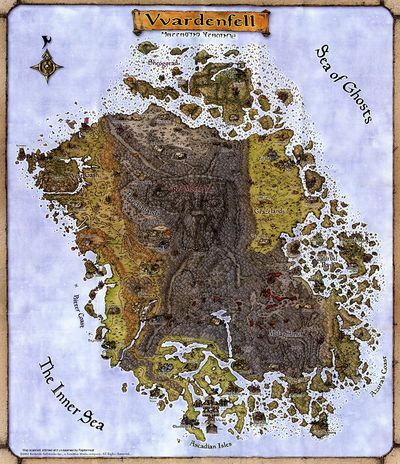 Part of this map is shown on the cover of the game Redguard, although it was not used for gameplay. A map of northeast Hammerfell showing the borders of Skyrim and High Rock, as seen in the game Shadowkey. 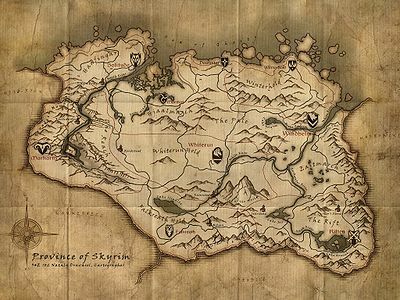 The province of Skyrim, as seen in the game Skyrim, and on the map in the game case. 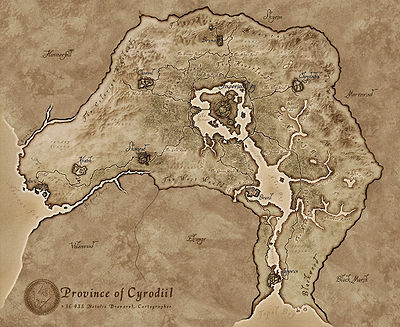 The province of Cyrodiil, as seen in the game Oblivion, and on the map in the game case. 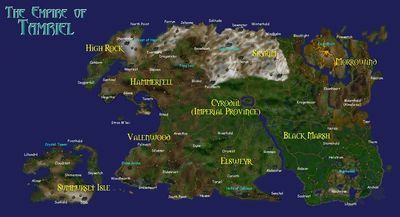 The Iliac Bay region, as seen in the game Daggerfall. The island of Vvardenfell, as seen in the game Morrowind. The Imperial Library: maps hosted at the Imperial Library. This page was last modified on 9 March 2019, at 07:11.